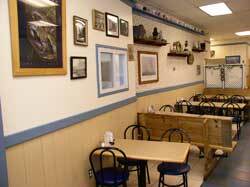 Dan Schuman, owner of Captain Dan’s Crabhouse, started in the crab business at Gordon’s Crabhouse in 1971. In 1972 another crabhouse took over the Gordon’s location in Randallstown, and Dan began his 31 years as steamer-general mgr. – partner. 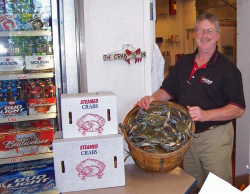 During this time his brother Mike, wife Cathy, and many other family members and friends helped Dan develop this store into one of the busiest crabhouses in Maryland. 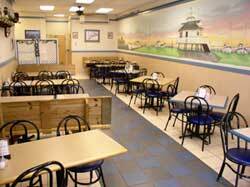 In 2003 Dan took over a restaurant in Carroll County. The Randallstown store was sold, and Captain Dan’s Crabhouse opened. Dan, Cathy, Mike, and longtime manager Manny San Juan are now greeting and serving Carroll County customers, as well as their established clientele from Baltimore & Howard Counties. The staff is comprised of family and friends, giving personal service to every customer.